At 3 Margaritas, we have perfected our dishes throughout the years because we have passed on our family recipes. This has allowed us to continue to offer you authentic and traditional Mexican food. 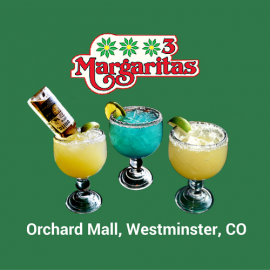 Located in the Orchard Town Center, 3 Margaritas offers a convenient location and a comfortable setting. Vibrant decor and friendly staff offer a family friendly atmosphere where everyone is sure to find something they love on our extensive menu. 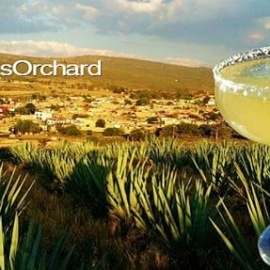 We offer refreshing margaritas, delicious fajitas, carne asada, veggie quesadillas, ceviche and so much more. We have great healthy options too! Stop in for our fun happy hour or for a tasty bite.